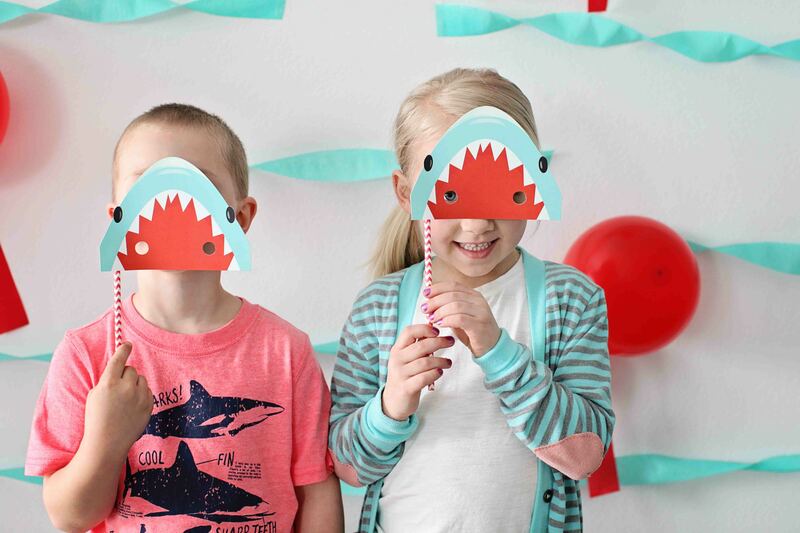 Boy’s Birthday Party Ideas: Shark Party! 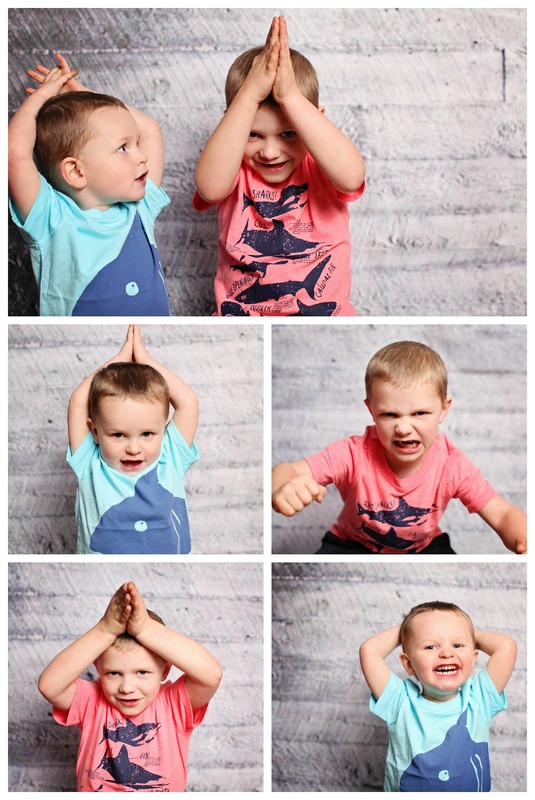 Although the Shark Mask Kids Birthday Invitation didn’t require any photos, I still wanted to do a mini photo shoot with the boys so we could have photos displayed on the day of the party. I found the perfect shirts and we were set! Once we had our theme, the décor and party items came together pretty quickly. 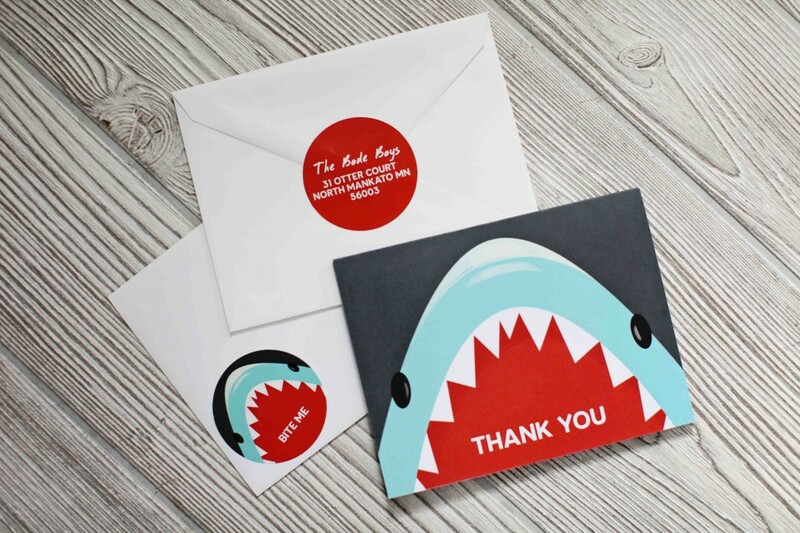 I ordered matching ‘Shark’ table décor and posters, then pulled the red and aqua colors from the invite into the serving pieces wherever I could. I also ordered extra invites to use as photo booth props during the party. We taped red paper straws to the invitations to turn them into easy to use photo booth props. The kids thought they were so much fun! I made an ‘ocean’ backdrop for the photo booth using twisted aqua streamers to look like waves. 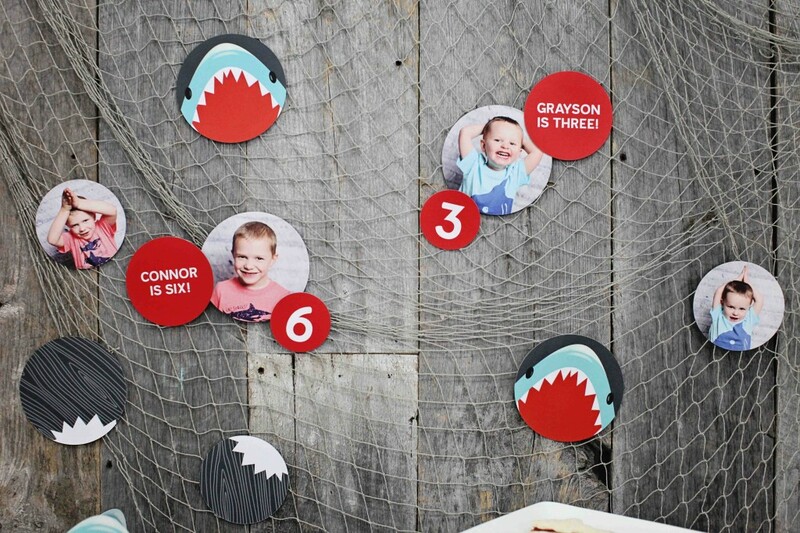 The party decorations were so fun, I ordered two sets, one for each son and they got ‘caught’ in the net that I hung on the wall. 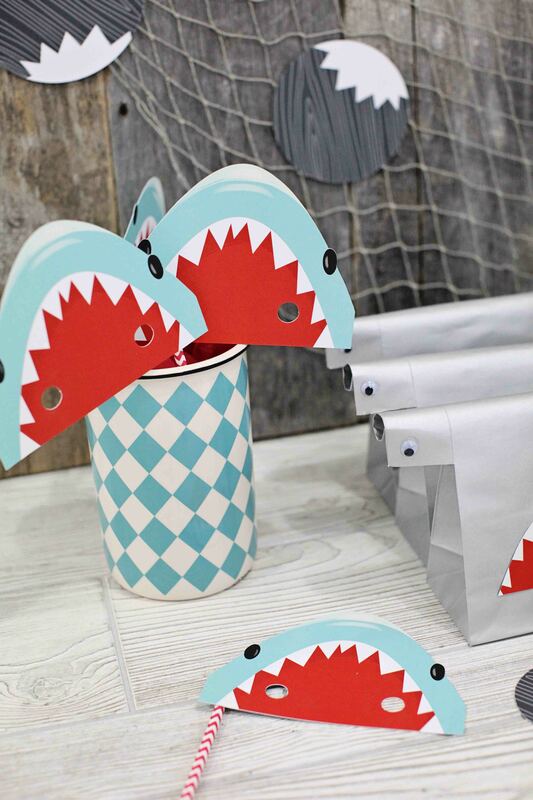 Plain gray party favor bags were transformed into hammerhead sharks by adding extensions to the top of the bag for the googly eyes, and adding the shark’s mouth, cut out from a few pieces of the party décor. 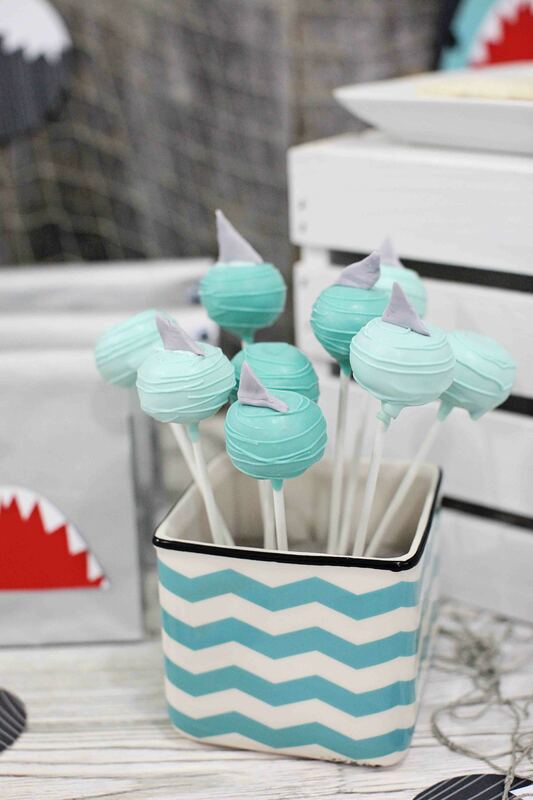 I also ordered delicious shark- and ocean-themed cake pops, and made shark shaped peanut butter and jelly sandwiches, which were a hit with the kids AND adults! Thank you cards are always an important part of our birthday parties, and the boys loved the coordinating design. We added a little extra personality with the ‘bite me’ stickers! 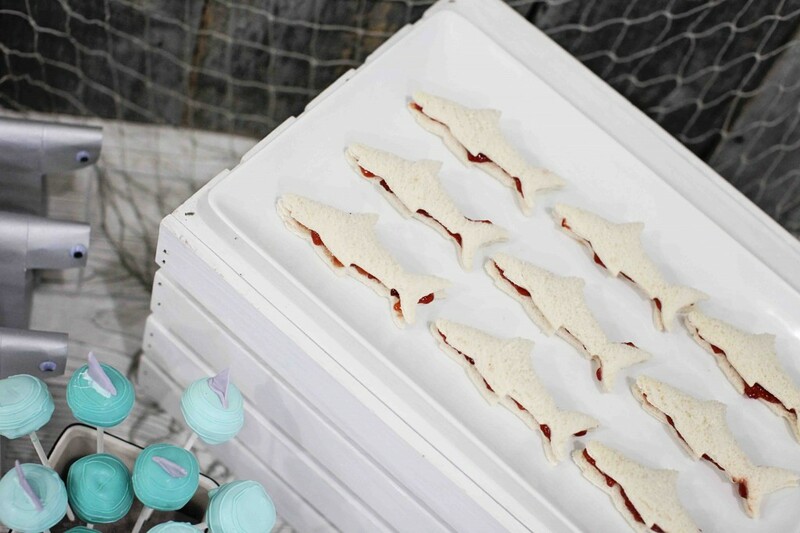 Our shark birthday party ideas were a big hit with the boys, and pretty easy for Mom to do! 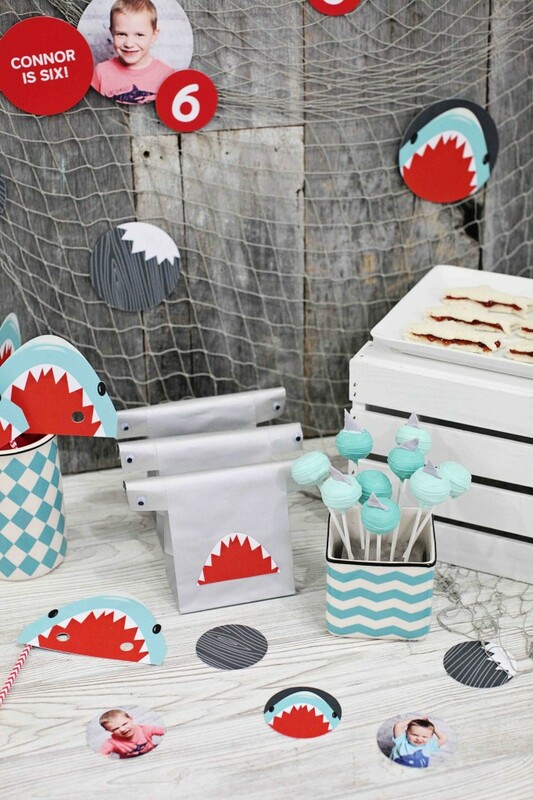 Check out all the kids birthday invitations and party decorations at Pear Tree! ← PreviousBoy’s Birthday Party Ideas: Robot Birthday! May I ask where you got the gray favor bags? I can’t seem to find them anywhere. 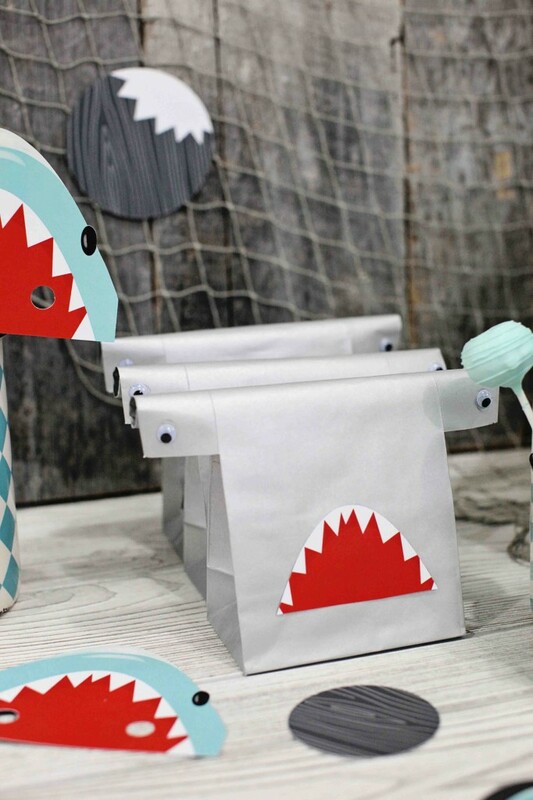 How did you make the hammerhead party bags? ?